SAN DIEGO, December 9, 2015 – Lighting up the streets tomorrow night, the San Diego County Bike Coalition will spread holiday cheer at its 5th annual Holiday Joy Ride before recognizing its Golden Gear award winners for their two-wheeled dedication in 2015. 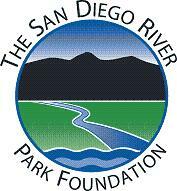 The fifth-annual, family-friendly ride will begin at 5:30 p.m. in Balboa Park at Panama 66. The spectacle of bikers encourages festive costumes for the tinsel-wrapped, light-strung, two-wheeled parade. The ride will conclude at 6:30 p.m. with a celebration at Panama 66 to recognize top bicycle achievements of 2015 and honor five recipients of the Bike Coalition’s Golden Gear Awards. The only regional bike advocacy organization, the Bike Coalition awards recipients who went above and beyond to make San Diego County bike friendly in the past year. Regional bike lovers can expect more momentum toward this biketastic goal in 2016 as the Bike Coalition has plans to bring back the city’s beloved CicloSDias; an open-streets celebration for people to rediscover their neighborhood up close and personal, instead of from behind the window of a car. To purchase tickets to the Holiday Joy Ride on Thursday, December 10, please click here. To learn more about or join the San Diego County Bike Coalition, visit http://www.sdbikecoalition.org/. San Diego County Bike Coalition (SDCBC) is a nonprofit organization that advocates for and protects the rights of all people who ride bicycles. They promote bicycling as a mainstream, safe and enjoyable form of transportation and recreation. For more information, go to www.sdbikecoalition.org.